Plantation is a city located in Broward County, Florida. The city is home to 84,955 residents, according to the 2010 United States Census. The city lies 8 miles west of Fort Lauderdale. The name of this city comes from the previous owner of this land, the Everglades Plantation Company. The official motto of Plantation is "The Grass Is Greener." For the past 28 years Plantation has been named "Tree City USA". As you can imagine they have lots and lots of trees, which make the town absolutely gorgeous and filled with life. The Plantation Golf Course was the setting of the famous "Caddyshack" (movie) pool scene. The City Hall of Plantation was the backdrop for part of the film, "There's Something About Mary". DHL's world headquarters for the Americas is located in Plantation. There are 10 public schools located in Plantation, Florida – 6 elementary schools, 2 middle schools, and 2 high schools. The Plantation High School received a FCAT school rating of "B" for the 2010-2011 school year. The South Plantation High School received a FCAT school rating of "A" for the 2010-2011 school year. As you can tell, the public schools in Plantation are very highly rated schools. Plantation is home to 42 parks and playgrounds (totaling 414 acres of land), as well as 6 golf courses including Plantation's own Plantation Preserve Golf Course & Club. There are also extensive recreational sports programs available for all ages ranging from young children to seniors. The Central Park Aquatics Complex in Plantation, Florida, boasts two Olympic sized swimming pools, as well as a 500 square foot water playground where toddlers can play. Both pools are open to the public year round and always have life guards on duty. Swimming lessons and water aerobic classes are also available year round. Plantation also has an Equestrian Center where you can take your horses out for rides through the park. Riding lessons are also available for everyone who wants give horseback riding a try. There are lots of events that are happening through the year in Plantation. Some of these events include jazz, wine, and art festivals, an annual table tennis tournament, Doggie Palooza, holiday parades, egg hunts, and so much more. Each December, the Historical Society creates a Winter Wonderland by decorating trees to show many different types of cultures. The Westfield Broward Mall has over 1 million square feet of indoor shops including department stores, designer stores, and restaurants. The Foundation Shoppes of Distinction is a 440,000 square foot open air shopping, dining, and entertainment complex. The East Sawgrass Shopping District is home to a large selection of specialty stores and restaurants. These are the three main shopping and dining areas in Plantation. Plantation also has a wide array of restaurants to choose from. Whether you are looking for a quick bit at a hamburger joint, a romantic dinner for two, or a place to take the kids, Plantation has it all. 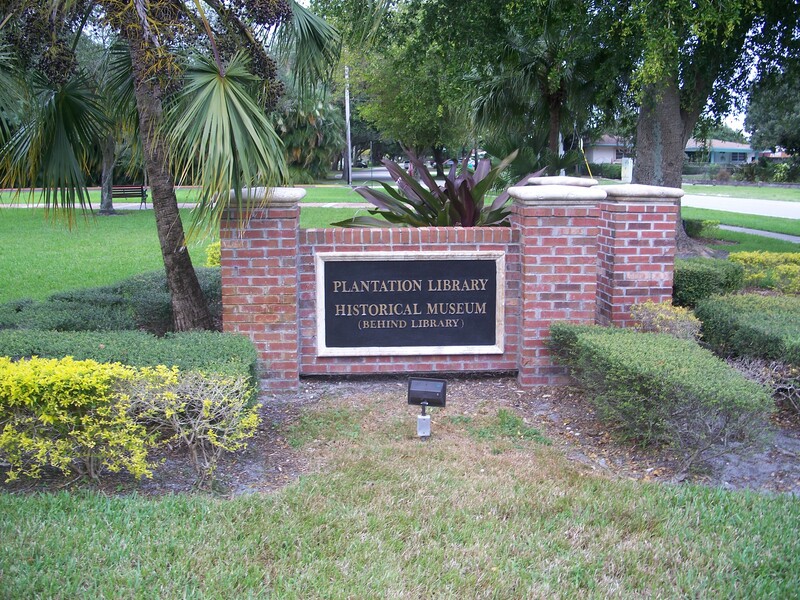 The City of Plantation has over 25 houses of worship. The city is home to many religions including: Apostolic Christian, Baptist, Lutheran, Methodist, Prebyterian, all types of Jewish backgrounds, Episcopal, Catholic, and a few others. The residents who live have a variety of religious backgrounds, as you can tell by seeing so many different places of worship. Plantation, Florida is an environmental city, which boasts their "tree loving" ways. All joking aside, the trees that line the city truly bring out the beauty of Plantation. Updated: 22nd April, 2019 2:10 AM. Updated: 22nd April, 2019 2:13 AM.